We will look after your pet like they were our own! A dog loving family who enjoys the outdoors. Love taking our dog and your pet to the beach! We will look to accomodate any needs that you have for your pet. We hope that your pet is comfortable around small children and we can help them feel at home whilst your away. Happy to accomodate pets that sleep inside or out and enjoy the company of others. 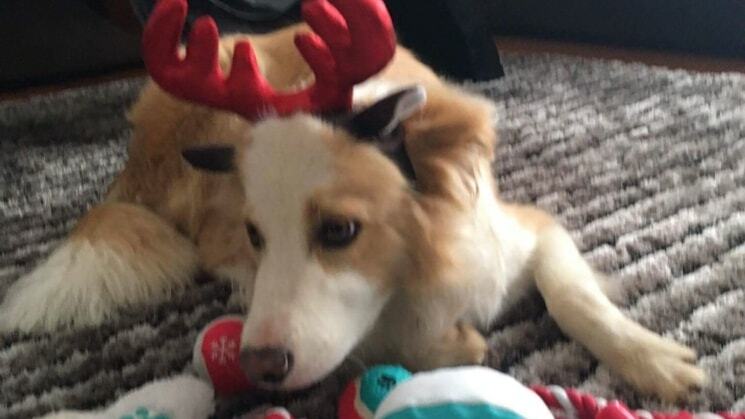 Our Border Collie, Bohdi loves to play and enjoys the company of other energetic dogs. We are close proximity to a number of parks and the beach and live a gated, secure community with friendly neighbour‘s. We have been a member of Pawshake for some time and have used them across Australia with much success. We believe we understand what pet owners look for when leaving their loved ones with others whether it is for a long duration or a weekend! If you have any needs or specific requests we hope we can accomodate. We will also look to keep you updated with photos and emails/text whilst your pet stays with us! We were so lucky to find Cameron, Janae and Bodhi their dog. We first met at a park for the dogs to meet and knew that our Dakota (German shepherd) was going to a great home. We were kept up to date with texts and photos as to how they were going. We would never use a boarding kennal again for Dakota, the love she got and the companionship of another dog was like a luxury dog holiday for her. She had plenty of walks, visits to the local park as well as going to the dog beach. Cameron and his family did a wonderful job looking after Jasper. He was full of energy as always and clearly enjoyed the great care and surroundings. Thank you Cameron.